Recently, AWS Config released a Rule Development Kit (RDK) that greatly simplifies your custom rule authoring experience. The RDK is an open-source tool that helps you set up AWS Config, author rules, and then test them using a variety of AWS resource types. This allows you to focus on the development of the rule itself. The AWS Config RDK is now available for download from the aws-config-rdk GitHub repo. We follow semantic versioning, and are dedicated to maintaining backwards compatibility for each major version. AWS Config is a service that enables you to assess, audit, and evaluate the configurations of your AWS resources. AWS Config continuously monitors and records your AWS resource configurations and allows you to automate the evaluation of recorded configurations against desired configurations. 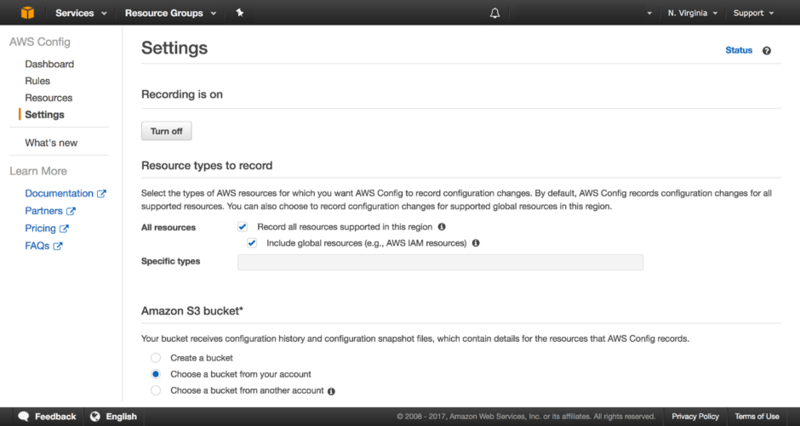 Rules enable you to automatically check the configuration of AWS resources recorded by AWS Config. There are 37 managed AWS Config rules by default and 34 custom rules maintained by the community in the aws-config-rules GitHub repo. You can get started with AWS Config RDK and create a rule named “Hello World” in just a few minutes. Use the following command to configure the AWS CLI. For more information, see Configuring the AWS CLI. Choose your platform (MacLinux or Windows). In this example, AWS Config in the us-east-1 region has been enabled by RDK setup. The rule has started to evaluate EC2 instances for compliance with EBS optimization. Now you can replace the default values with your own code. Make sure that resource types are consistent between the rule_code.py and createRule.cmd script parameters. Otherwise, your rule returns NOT_APPLICABLE. The rules/ruleCode/rule_util.py script handles the boring parts of a rule, and should not need to be modified. The AWS Config RDK supports testing your rule by invoking the Lambda function with configuration items (used as test cases) from the /rules/testUtil/compliantCIs and /rules/testUtil/noncompliantCIs directories. The RDK checks that the Lambda function returns the corresponding result. Besides, we have provided Configuration Item examples in “rules/testUtil/exampleCIs” to help you to write test cases by the modification to make them represent compliant or non-compliant resources. Preparing the initial rule development environment, by enabling AWS Config with a variety of automatically created AWS resources. Creating Lambda functions, rules, and the association between them so that you don’t have to. Supporting multiple platforms: macOS, Linux, and Windows. Testing rules just by the code, with no more manual setup in complicated test environments. We would love to hear your feedback. Feel free to leave comments or suggestions on the aws-config-rdk GitHub page. Henry Huang is a DevOps Consultant for the Professional Services Team at Amazon Web Services in China.